Did you do your budgeting well in 2018? We are glad if your answer is yes! A well-structured marketing plan and budgeting are always essential for an organization to keep themselves focused on a specific goal. Although it is not easy to develop a perfect marketing strategy, it is necessary for the success of any business. 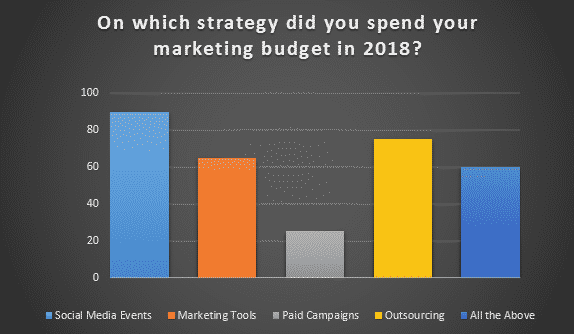 Certain companies estimate their marketing budget based on previous year’s spending. And, this carelessness results in the downfall of their revenue gradually. Hence, if you do not want to be one among them, plan your finance wisely at the beginning of the year itself. Make a list of lessons you learned in the past and mold your new strategies based on it. It will help you in gaining fruitful outcome. So, are you ready with the budget allocation plan for 2019? 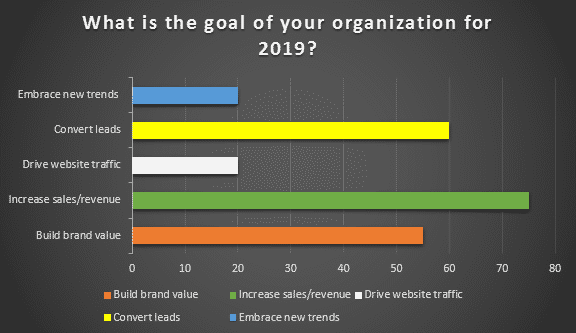 Recently, we surveyed marketing and sales executives from various B2B industries to know their opinion as well as their financial plan for this year. Eight out of ten executives had wisely spent their marketing budget last year, and they were happy about the result. However, only 13% of them were ready with the plan for 2019. So, where are the others? Take a look at our survey report mentioned below that answers your questions. Let us begin with the strategies used by B2B industries last year. Although it is not necessary to follow the same in 2019, we can borrow a few great ideas from it. We asked some marketers about the allocation of budget for the last fiscal year, and their reply was not surprising. They invested in common trends that would guarantee successful yield. Nearly 75% of the B2B marketers revealed that they spent on social media events, marketing tools, and outsourcing tasks. Whereas, only 23.5% distributed their money on paid campaigns to generate leads. But surprisingly, all of them were happy with the outcome they achieved with their plan. Most of the companies reserve the beginning of a year for planning as well as scheduling the business operations. But there are a few marketers who plan it well in advance and kick start the year with fresh strategies. Our survey consisting the answers of more than fifty B2B industries reveals some interesting facts about it. 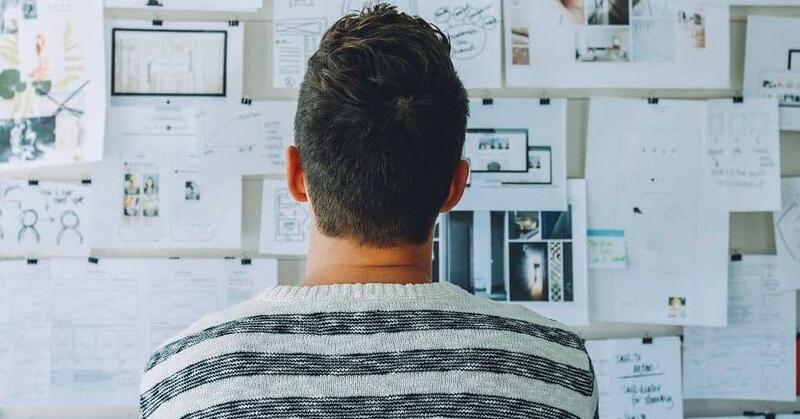 Only 13% of the marketers were fully ready with their 2019 budget allocation plan, whereas 20% of them are still working on it. But the majority of the marketers have already drafted their program and in the review phase. Although it seems surprising, this case is quite common almost every year. To your surprise, the survey conducted by us last year had a similar output. Although B2B marketing looks tiny compared to the other channels of business, it is much broader than you expect. The marketers come up with new tactics every year to stand apart from the competitors. Besides, they also started integrating some of the leading strategies of B2C segments into their daily activities. 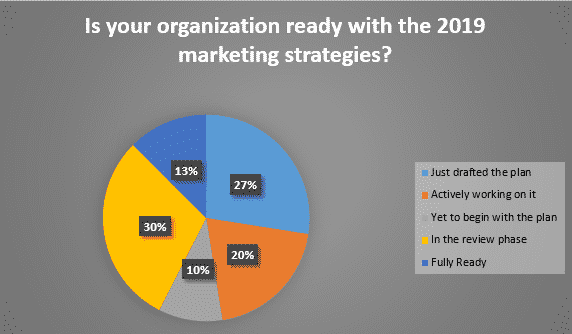 If you want to know the plans of B2B marketers for this year, have a quick look at the survey report given below. 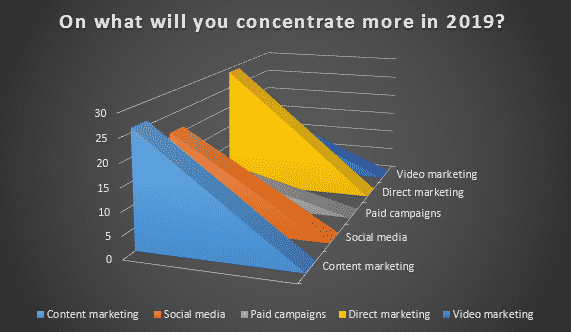 Although most of the marketers spent on social media events last fiscal year, they are planning to concentrate more on Direct Marketing (28.8%) and content marketing (26%) in 2019. Most of the marketing executives quickly responded to this question as these two channels are gaining popularity in the B2B space to a greater extent. However, only 15.2% and 9% of the marketers were interested in video marketing and paid campaigns respectively. Since B2B industries deal with different areas, there are differences in their opinion when it comes to the organizational goal. According to our survey report, 75.2% of the marketers give higher priority to increasing sales or revenue of their company. And, 60% of the industries are planning to focus all their attention on lead conversion this year. Sadly, only 20% were interested in integrating new trends into their business as well as driving more traffic to their website. But whereas some marketers have already planned to focus on all the areas in 2019 to expand their venture. Although it sounds great, the result depends on how well they execute it. Did you find some common strategies of your industry in this write-up? It isn’t surprising if your answer is yes. Most of the B2B industries surveyed by us have similar planning for 2019. However, its outcome depends solely on how they implement their idea. Overall, this survey revealed huge insights into the marketer’s approach to budgeting and business plans. You can derive some ideas from it and implement the same for your organization. Be Ready for Marketing Battle in 2019!